Childcare fees and out-of-pocket costs in Australia have been growing above inflation in recent years, at the same time that more parents are using formalised childcare to support their participation in the workforce. Childcare has been subject to growing and evolving regulation for many years, culminating in the introduction of the National Quality Framework in 2012. However, the quality regulations under the national framework are increasing the operating costs of childcare services, which are being passed on to parents in the form of higher fees. At the same time, the benefits of quality regulations, in terms of child outcomes, have been overstated and underpinned by mixed evidence. By driving up the cost of childcare, these regulations also undermine the effectiveness of taxpayer subsidies for childcare. This reflects a fundamental contradiction in government policy objectives of promoting affordability and increasing quality in childcare. This report recommends that state and federal governments re-examine the case for quality regulations; with a view to reducing the scope of the staffing and qualification requirements under the National Quality Framework. 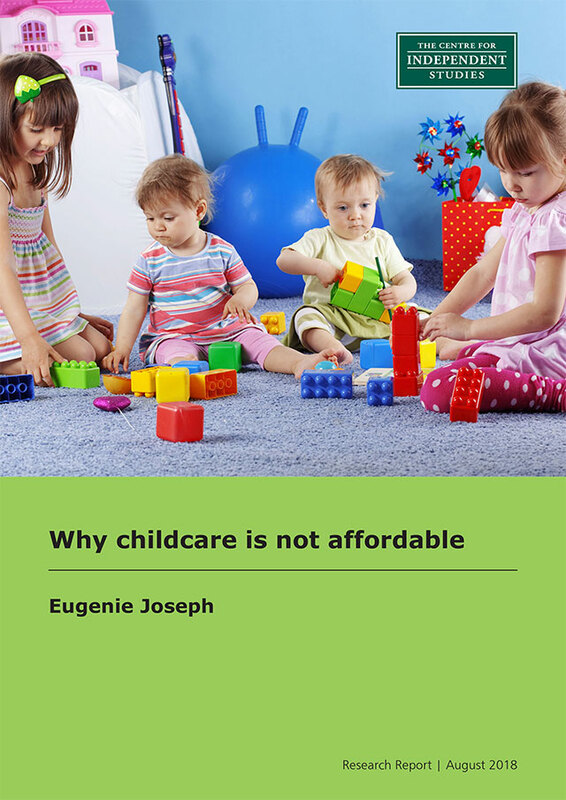 A more flexible approach to regulation would go far in promoting greater affordability in childcare.